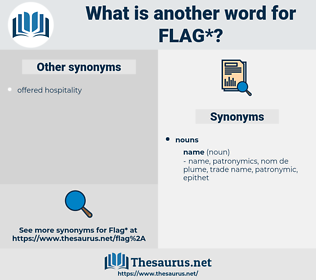 What is another word for flag? One of the wing feathers next the body of a bird; - called also flag feather. putting bug in one's ear. stars, knows, media, pavilion, pavilions, indicator, bandera. Hoisting, media, pavilion, clubhouse, indicator, convenience. improve, rise, do well, win, increase, strengthen, grow, enhance. This was a red flag to the bull. Up went the Flag of France! dog, domestic dog, deer, cervid, Canis Familiaris. 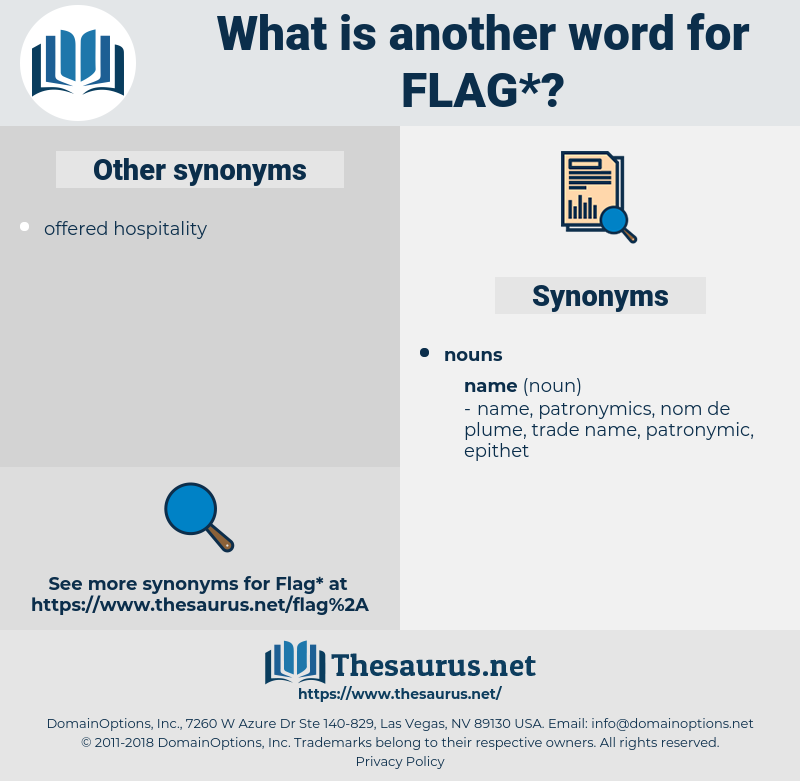 jolly roger, stars and bars, waft, colors, flag of truce, battle flag, pirate flag, fanion, confederate flag, national flag, black flag, American Flag, star-spangled banner, ensign, tricolour, union flag, jack, white flag, standard, banner, union jack, pennon, pennant, tricolor, old glory, blackjack, stars and stripes, streamer, colours, yellow jack. embellish, ornament, beautify, decorate, adorn, grace.